Zahrina Robertson is a leading international authority on Personal Branding. 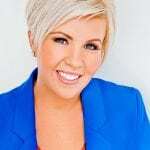 She is an award-winning photographer, videographer, speaker, and author of the new book“MAGNETIC Branding” - The Complete Guide For a Brand that Attracts! Zahrina has photographed events featuring Richard Branson, Simon Sinek and many other leading international entrepreneurs. Head hunted by Arianna Huffington from the world’s largest online publication, The Huffington Post, Zahrina has unmatched ability in the field of personal branding transformation. Over the years, Zahrina has captured brand images for leading brands such as Qantas, Business Chicks, and Tourism Australia as well as international entrepreneurs like Richard Branson, Carla Zampatti and Ita Buttrose. Zahrina has been engaged as a speaker for Westfield, WOW Women and ICALM.